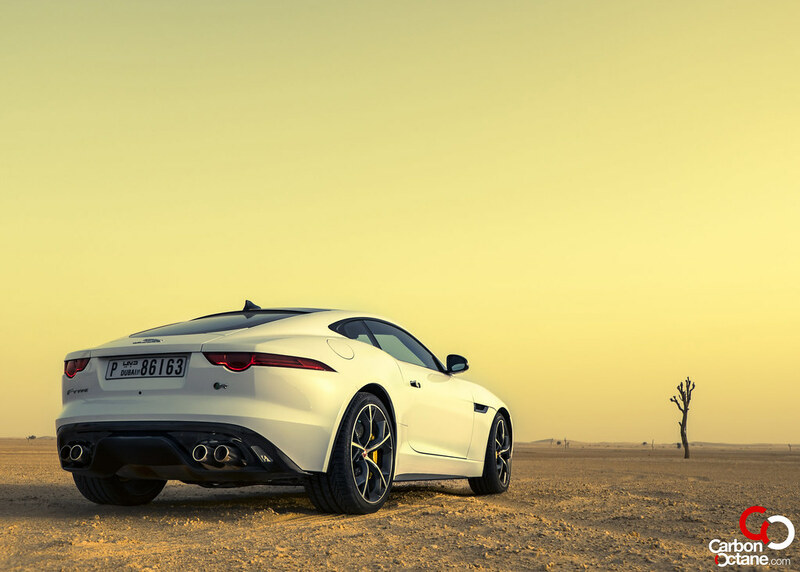 We were pretty impressed with the Jaguar F Type Coupé convertible V8 SUPERCHARGED and along with infinite headroom it had the sound of a spitfire in full throttle resonating from its rear end. That moment had been forever etched into my mind, the pop and bang from the exhaust would make a grown man weep, it would turn heads and may turn a few nasty gazes from Dubai’s finest in the process. 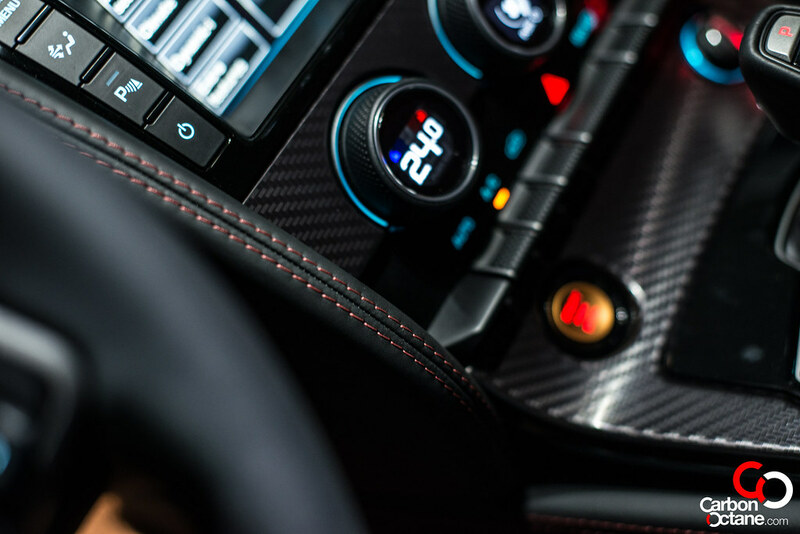 From the moment you turn on its ignition it feels that you have actually woken up a beast. The engine grumble reflects on the big cats’ powerful heart in beast mode ready for action. 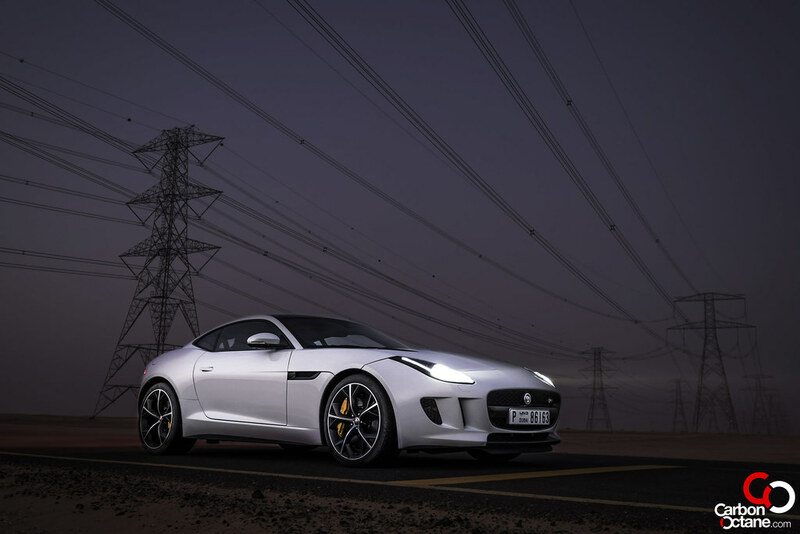 Now Jaguar has upped the game by coming with a coupe and adding more power than an average Joe can handle. The result? Well I had to murmur “I am not worthy” countless times while wearing the biggest grin on my face and possibly experiencing the best weekend of my life. 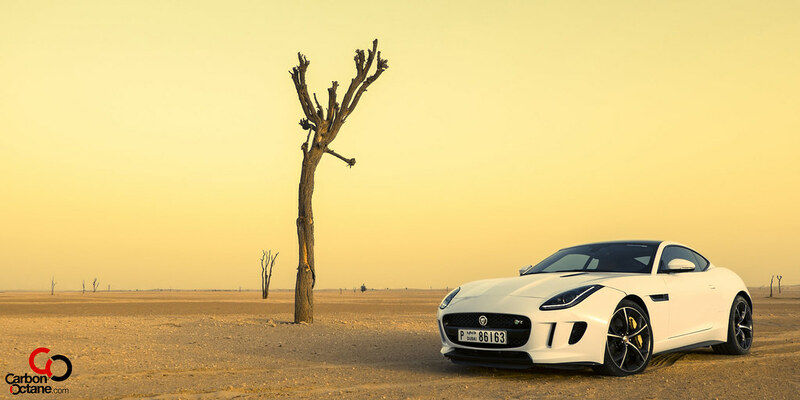 Most staggering about the new F Type Coupé R and the non R variant; is that Jaguar has added 80% more torsional rigidity from that of the convertible by adding the roof. But that’s not all my friend, the most powerful of the coupe is also mated to a 550hp V8 Supercharged borrowed from Jaguar’s lunatic category i.e. 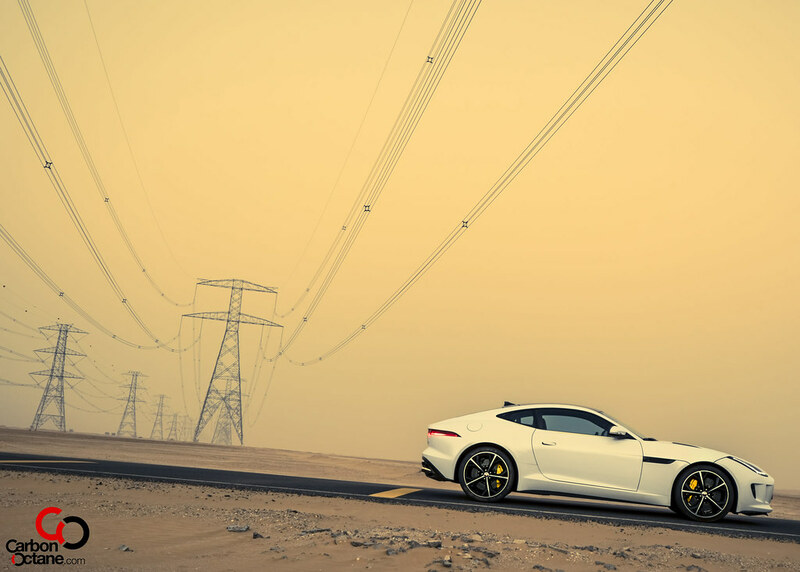 The incredible XKR-S, XJ-R and the XF-RS. 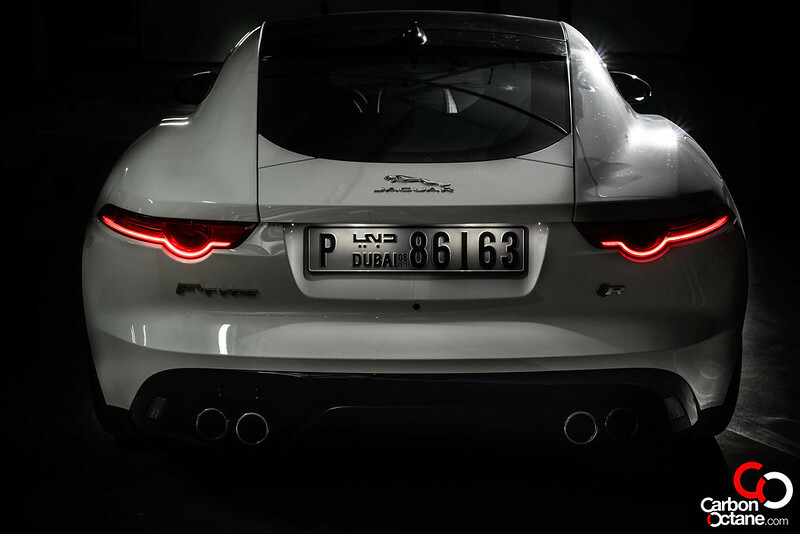 But imagine that in the F Type Coupé and you’d understand the severity of it all. 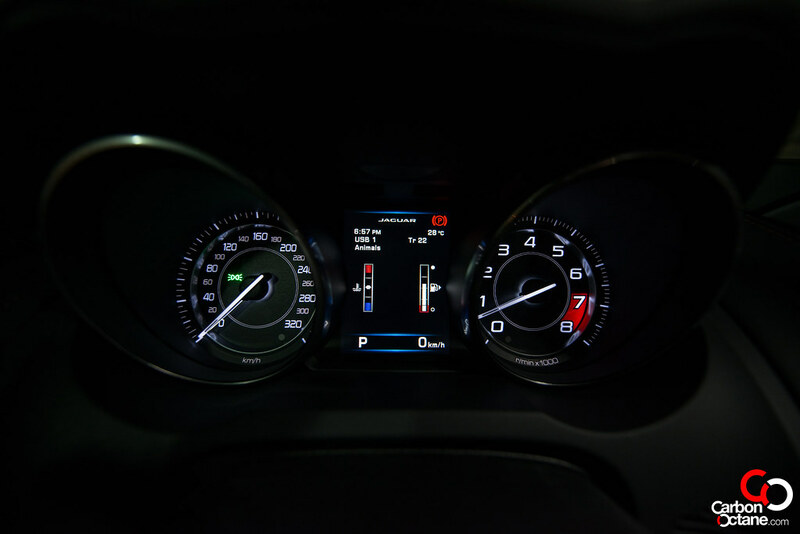 Let’s come clean for a second and forget the hype about fuel consumption and being all green for a second, we can always redeem ourselves later on. What do we need to feel alive? We need looks, sound, power and handling. 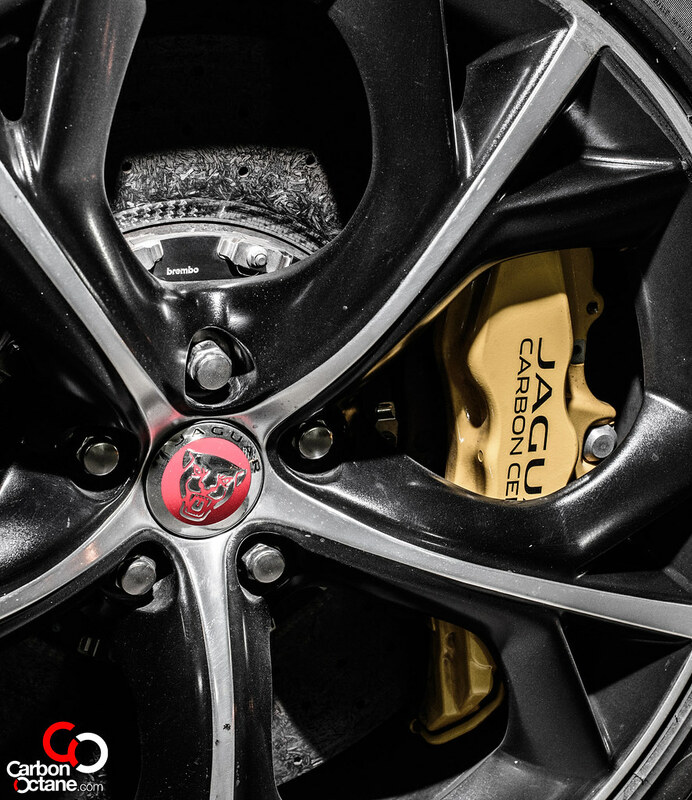 Thank you Jaguar for giving us just that and not shying away on any of these categories. Have a look at it, it’s purrrdy from any angle. The exhaust burble will cause embarrassing moments, no thanks to our sphincter muscles. 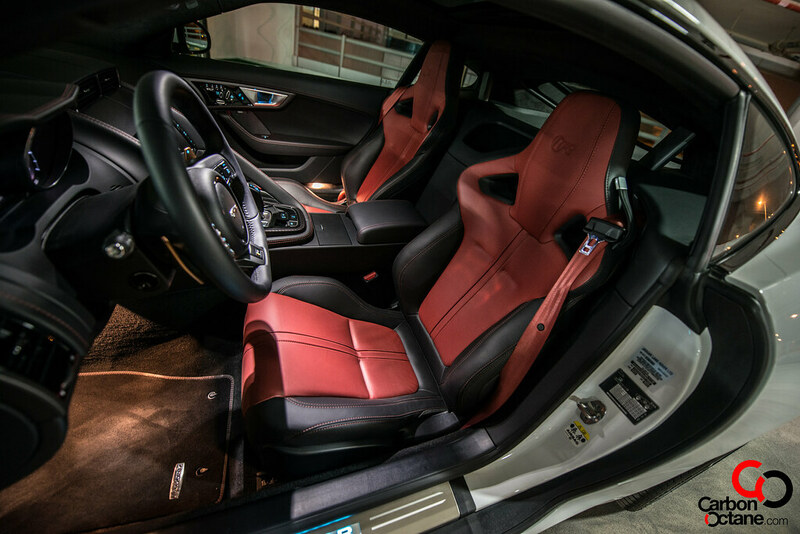 Its 550 horses and 680Nm of torque will punish you and sure to keep your heart working overtime. As per the handling of it, yes it comes very close to the handling god of all; the 911’s. Now that’s a compliment which anyone can understand. 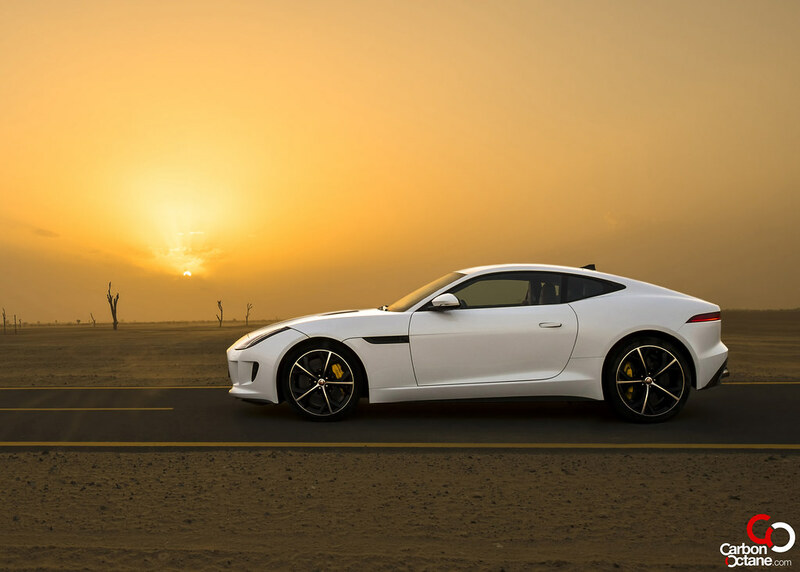 The F Type Coupé R is a rude awakening to many manufacturers out there. Kim Kardashian had a recent #breaktheinternet campaign on Paper Magazine, credited mainly to her in-famous rear end. 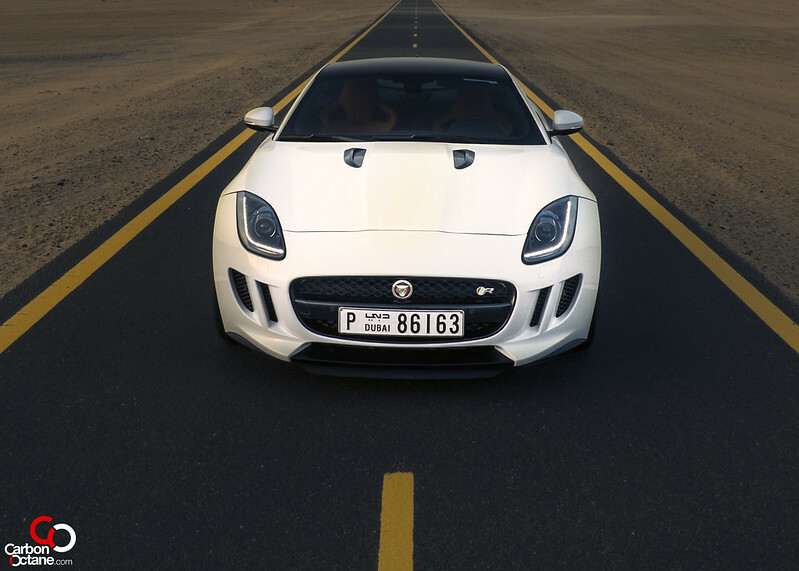 A true petrol head can see the similarities when they stand behind the F Type Coupe R. Its hind is the automotive equivalent to that of Lady Kim’s. 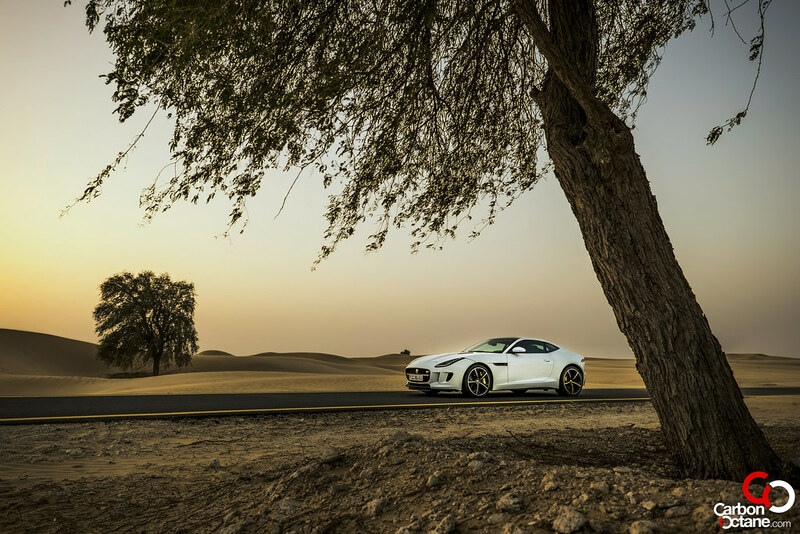 Jaguar’s “good to be bad” and “feel alive” campaign are true when reflected upon the F Type Coupé. 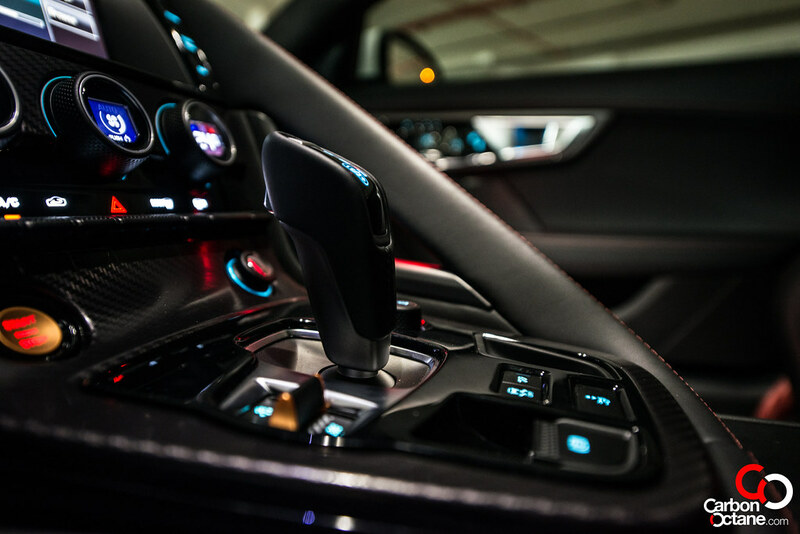 The all aluminum construction is lighter and makes the car more agile and controlled. This is a cat which one can tame around the bends. The feel from the steering wheel is obvious and much appreciated while doing the tango around the tight chicanes and bends. 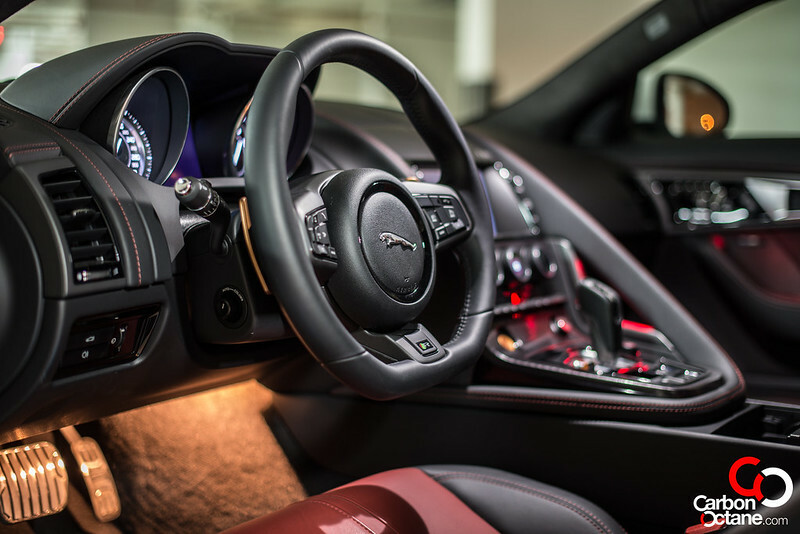 The interior is the same as all the other F Type Coupés and Convertibles while a selection of delectable customization options can be found at the local Jaguar dealers. Jaguar needed a car to appeal to people who loves to drive, to feel the road though their arses and get their ears blown off from the pops/crackles and bangs from its exhausts. 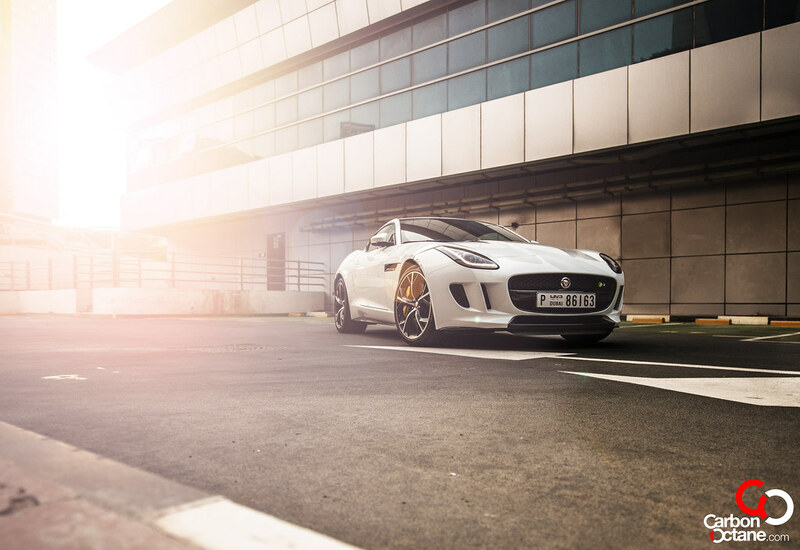 The F Type Coupé R is just that and on top of it you have heritage. 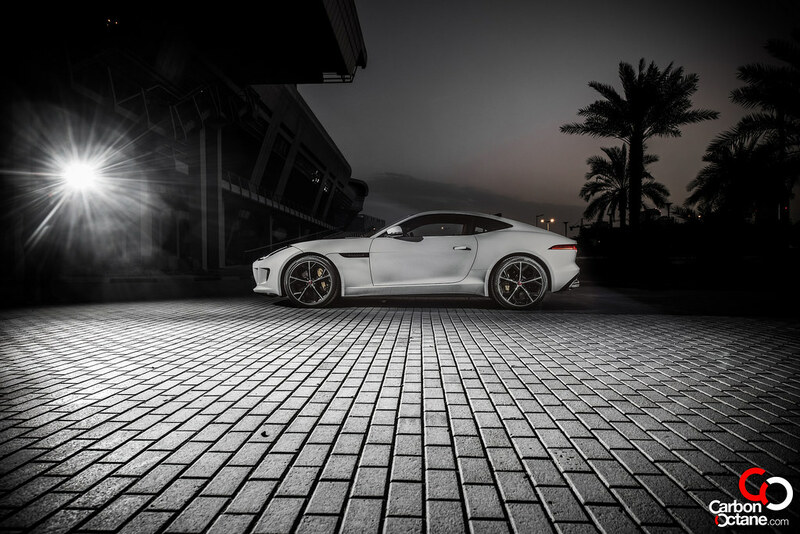 This is the fastest F Type to date, it’s comfortable on every road conditions in the UAE and a simple switch to dynamic mode transforms this car further into an all out lunatic but a controlled one at that. It does not throw any tantrums when the pace becomes illegal and in all, this car is just maddening brilliant. 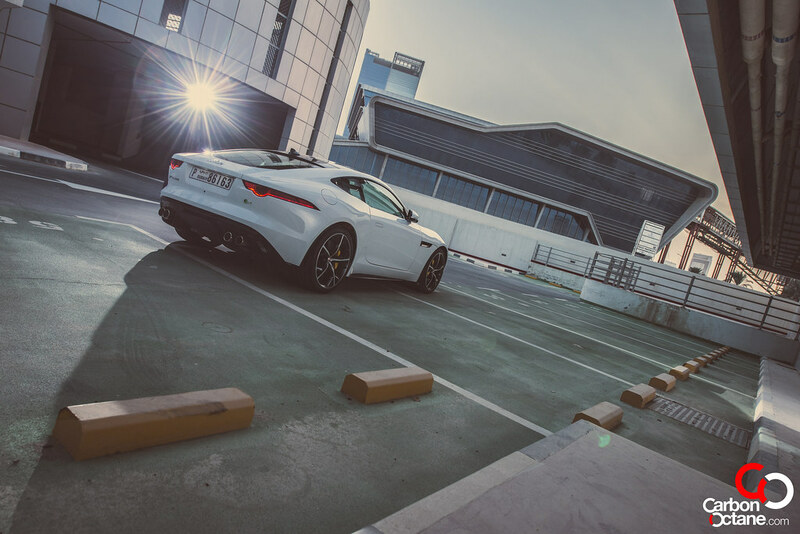 When Jaguar launched the F Type convertible, we stood wide eyed. We did perspire in satisfaction when we drove it around but now with the Coupé variant, Jaguar has basically put in an extra patty over an already great burger. 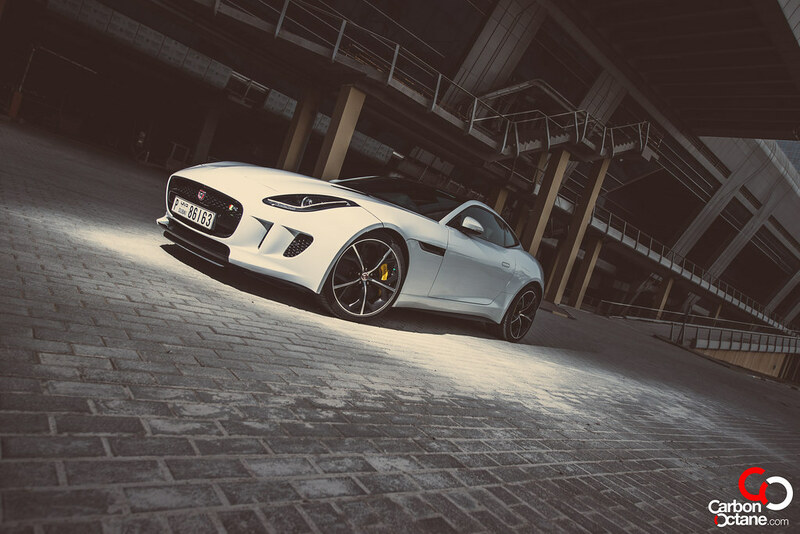 The F Type Coupe R is the quintessential car for the angry young man in a suit. It’s better to sometimes play a villainous role than to play it safe. It’s a car for a purist with the addition of a safety net. 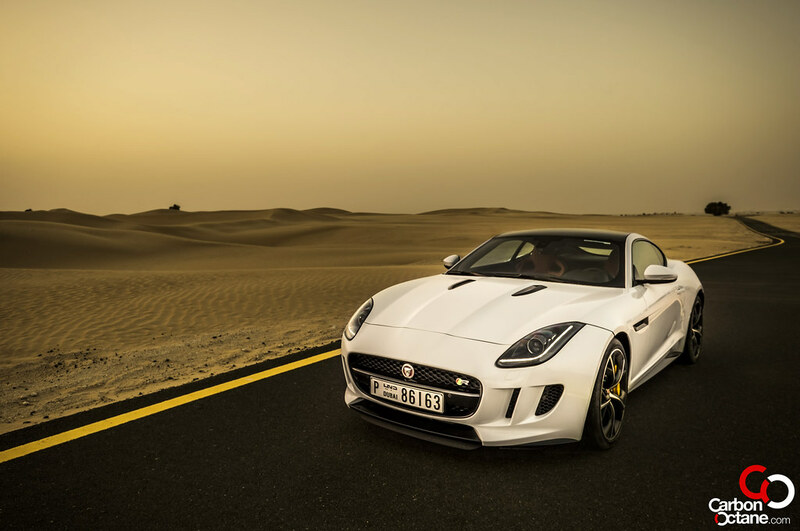 It’s a man’s toy and we so love Jaguar for building it. Word has it that Jaguar are making an AWD variant of this debauchery, now that would be pretty interesting indeed.